SANTA CLARA, Calif. -- If this was the final game of his magnificent career, what a Super way to go out for Peyton Manning. The Carolina Panthers are facing off against the Denver Broncos at Levi's Stadium in Santa Clara, Calif. on Sunday, February 7, 2016. He can thank Von Miller and the Broncos' swarming, big-play defense for his second NFL championship. Adding that ring to his five MVP awards, Manning certainly can be satisfied and comfortable in retirement should Sunday's 24-10 victory over the Carolina Panthers be his finale. He wasn't the star - game MVP Miller seemingly was everywhere on every Carolina play - but Manning really hasn't been the headliner in this injury-shortened season. 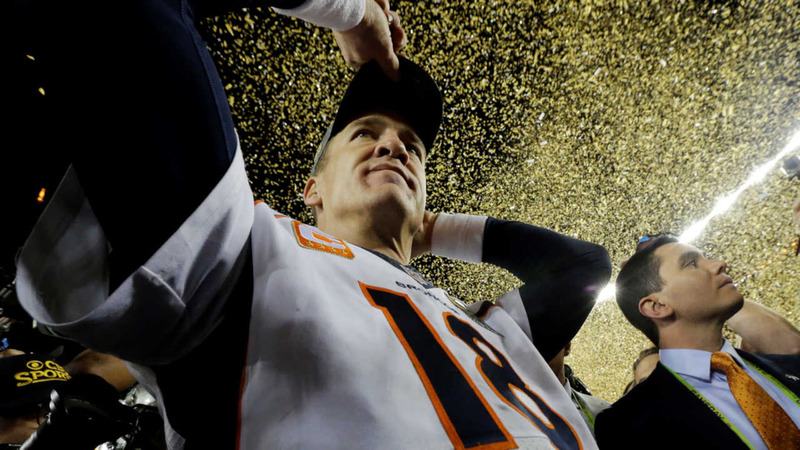 Emulating his Broncos boss, John Elway, the 39-year-old Manning can ride off with the Lombardi Trophy after leading Denver to its third NFL title, first since 1999 - when Elway was the quarterback. 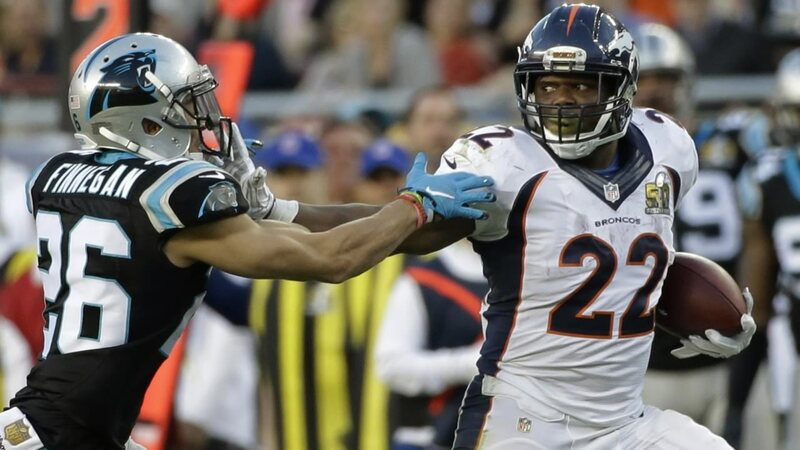 Denver's suffocating defense kept Cam Newton jittery all day. Despite wearing gold shoes in the golden Super Bowl, Newton couldn't finish off a dynamic season in which he was the league's MVP. Miller twice stripped him, once for a touchdown, the second time setting up a clinching TD. Denver's top-ranked defense, the one that ran roughshod over Tom Brady in the NFC championship, simply wouldn't let Newton get comfortable. Newton was sacked six times - receiver Ted Ginn Jr., went down once on an aborted trick play - and if Miller wasn't torturing him, DeMarcus Ware was. Ware had two of the seven sacks, the most ever by one team in the Super Bowl. Carolina's potent offense that led the league with 500 points was held to its fewest points of the year, and Denver set an ignominious mark with 194 yards gained, the fewest for a Super Bowl winner.